Breast milk is the obvious and natural choice for feeding babies, although sometimes breastfeeding doesn't always work out. As much as I tried to breastfeed, it didn't work out for us. By 6 weeks with our first baby and 3 months with our second, my husband and I made the switch to formula. It wasn't an easy decision. With our first baby, we were overwhelmed by the abundant variations of baby formula on the market, not knowing which one would be the best for our reflux and colic child. 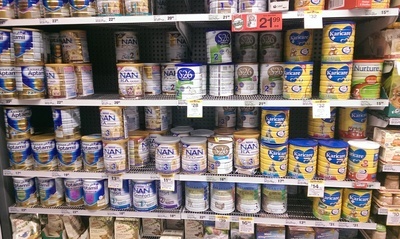 By trial and error, we battled through many brands of baby formula to find the right one. We started with the most popular baby formula on the market, but found that it constipated our poor little man, so moved onto a hypoallergenic brand which didn't agree with his tummy. We tried a soy brand, but he wouldn't drink it, and got a script for a formula designed for babies with milk protein intolerance, but our screaming baby wouldn't drink that either. With some online research and a recommendation from our chiropractor, we tried Karicare Goat 1 Infant Formula and slowly but surely we started to get some sort of normality back in our little baby. He seemed to like the taste, constipation stopped, and we started to see an improvement in his sleep patterns. Happiness resumed. I wonder whether our baby reached a stage in his intestine development where he would be able to digest better, but what I will say is that with baby number 2, we started with the same brand of goat milk formula, and did not experience a digestive problem at all. He took to the formula really well, and we didn't seem to experience any sort of gut discomfort. Baby number 2 also happened to be a good sleeper, whether that is a result of the right formula or not, we will never know. The disadvantage of goat milk formula is its price, almost double that of some of the traditional cow milk baby formula's available. Karicare pretty much dominate the goat milk baby formula market, there are no other competitors (aside from Bellamy's Organic, the only other goat milk formula alternative on the Australian market, which is not stocked in supermarkets). 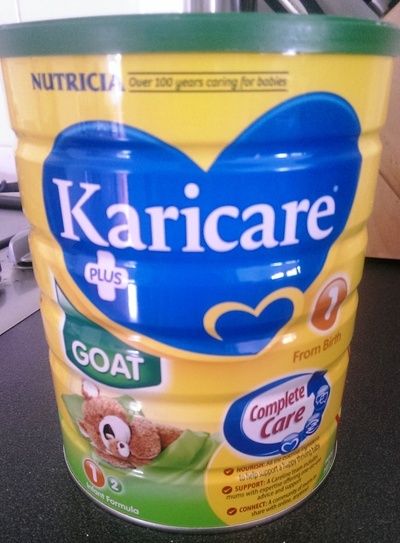 Another disadvantage is the availability of Karicare Goat 1 Infant Formula, although I have noticed the brand is found in many more supermarkets than it was 5yrs ago when feeding our first child. Every baby is different and every experience is different, but if you do find you are struggling to breastfeed and you are not sure which baby formula might be right for your child, maybe give goat milk formula a try? It might just save your sleep. My friends daughter had some allergies and I was so suprised (shocked) at the cost of the goats milk alternative formulas. It's a shame that they are so very expensive. I agree, the price is a bit shocking!